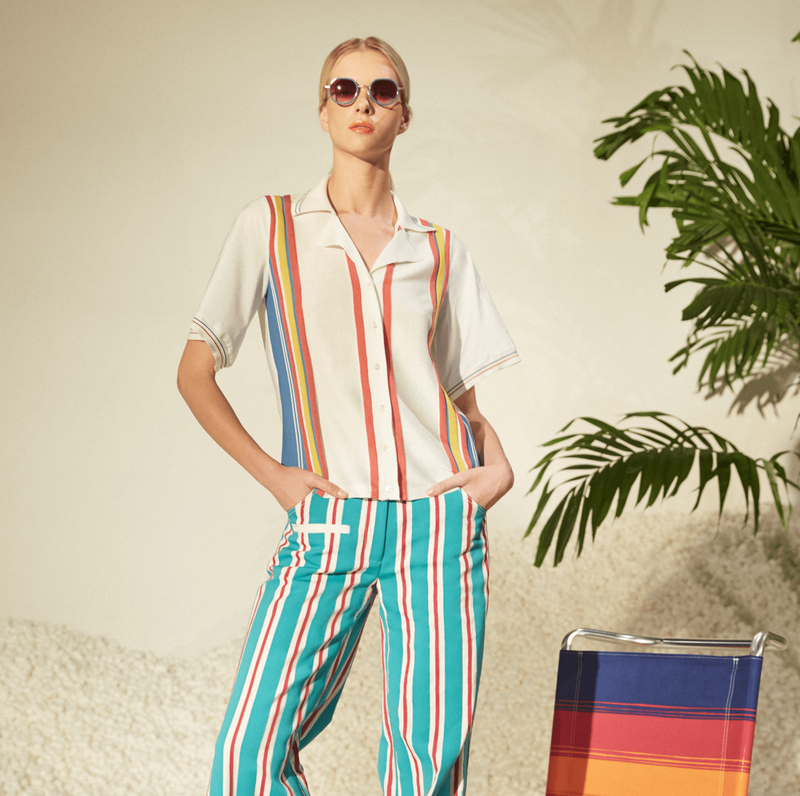 Our memories of summer holidays often stay with us forever. 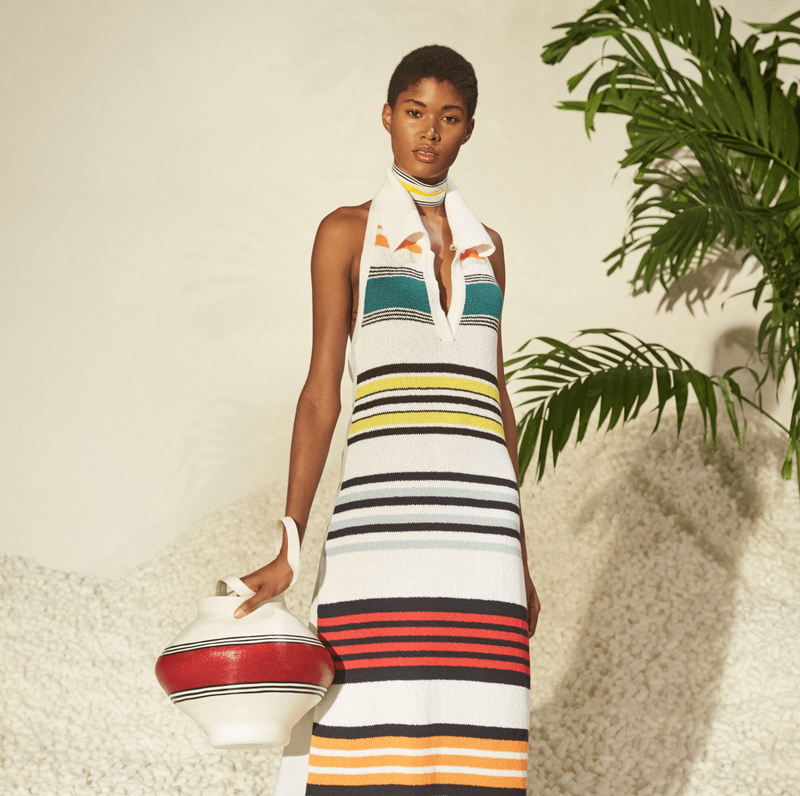 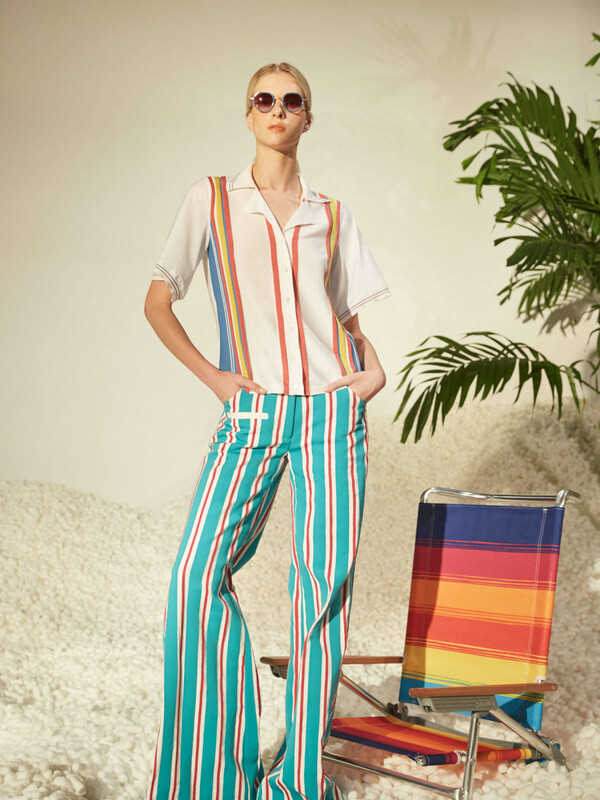 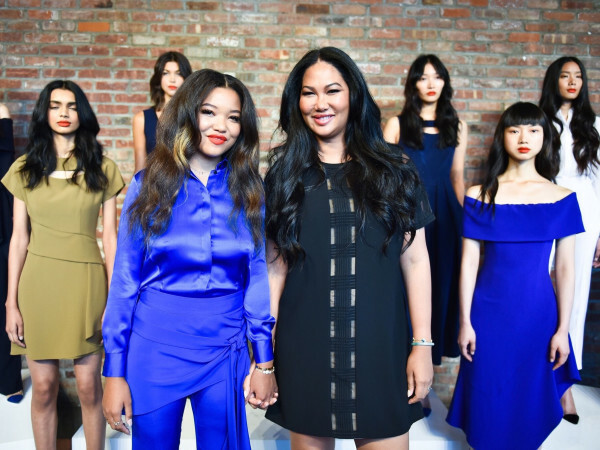 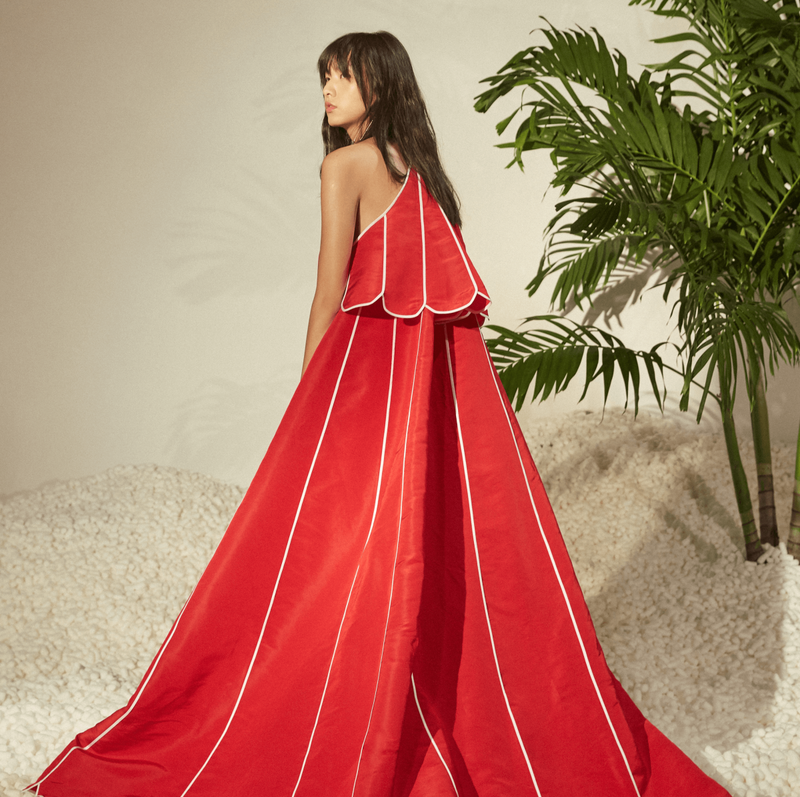 That certainly seems to be the case for buzzy designer Rosie Assoulin, who recreated her reminiscences of beach vacations on the Jersey Shore in a Meatpacking District gallery space as the background her spring/summer 2017 collection during New York Fashion Week. 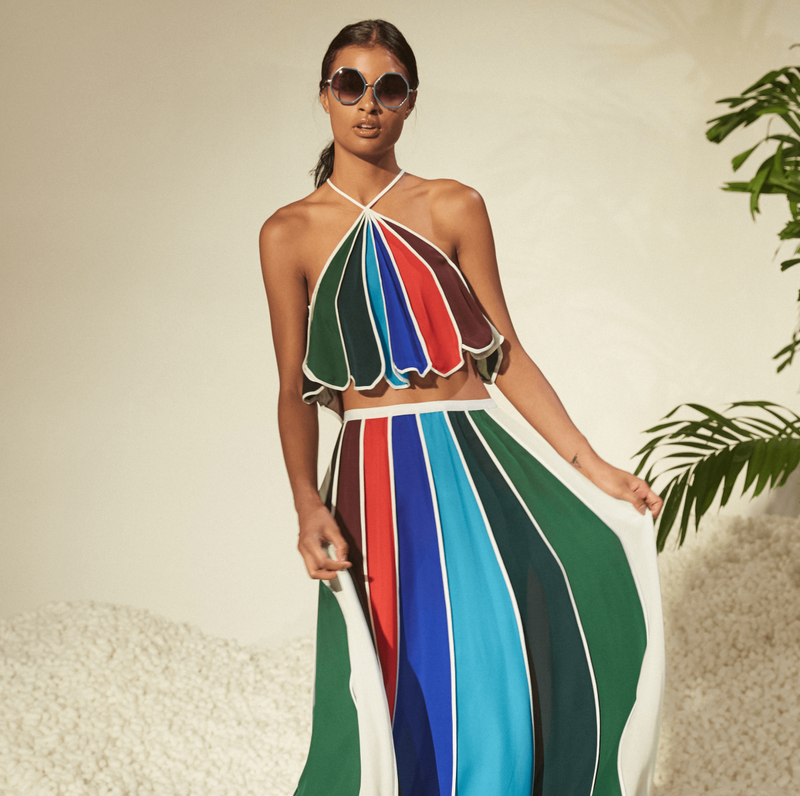 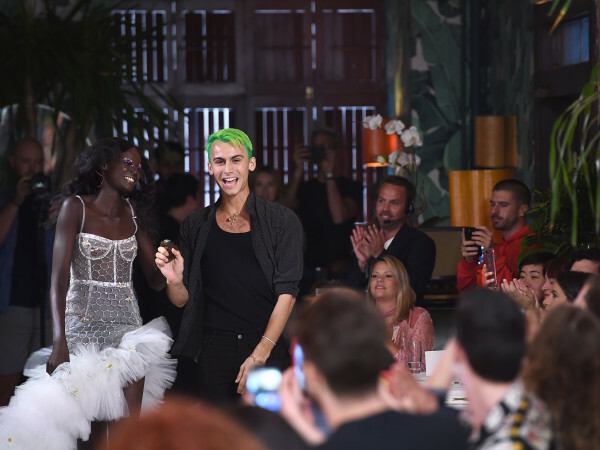 Assoulin, a darling of fashion magazine editors for her bold designs and sunny attitude, placed her models amid potted palm trees, striped beach chairs, and sand (actually it was biodegradable packing peanuts) — and they seemed right at home in an array of outfits meant for palling around. 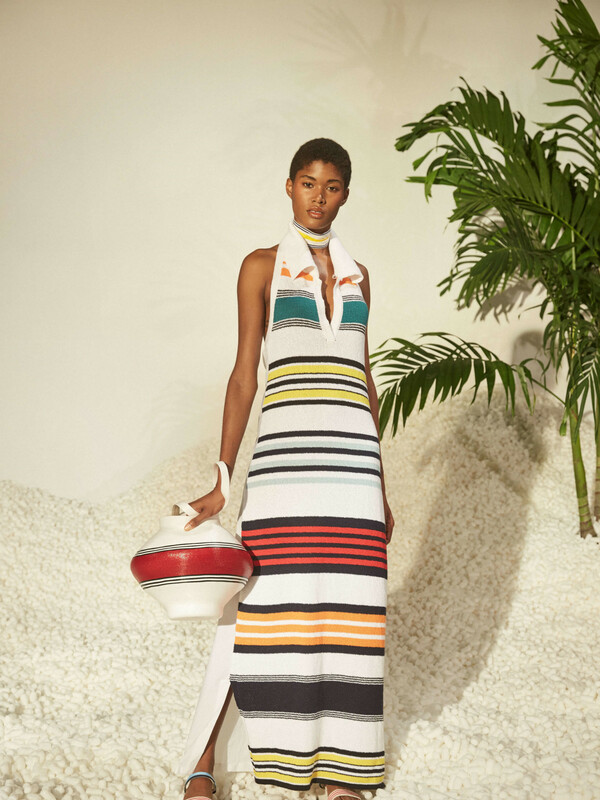 Assoulin also featured a ruffed one-shoulder top with one long sleeve, colorful striped polo dresses and beige fringed coats. 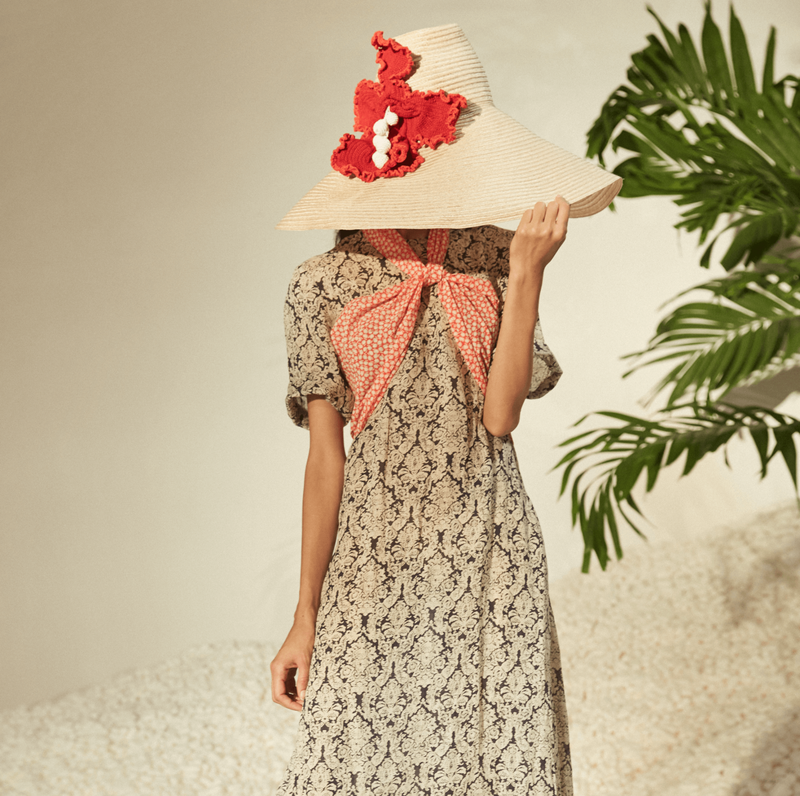 Oversized beach hats and straw handbags in the shape of ceramic sculptures added to the fun.